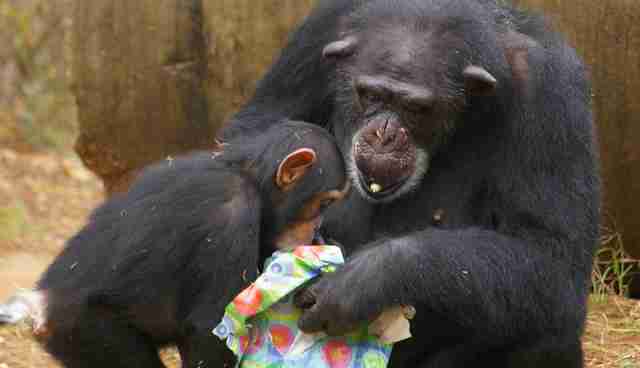 You can send them presents from their wish list. 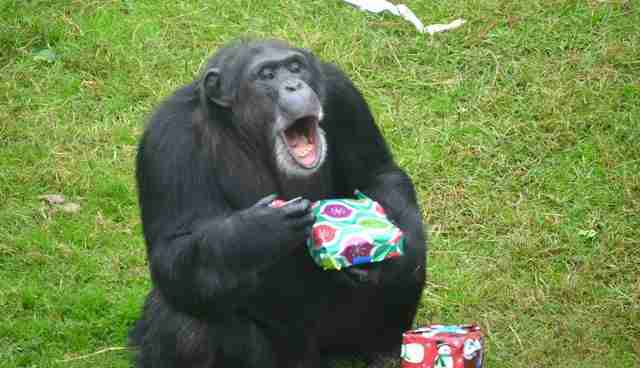 It's hard to imagine anyone more enthusiastic than a kid on Christmas morning - but a chimp on "Chimpmas" morning might have just taken the cake. 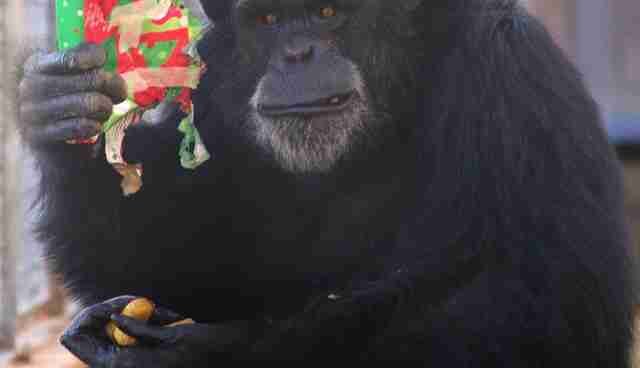 Chimp Haven in Keithville, Louisiana, is currently home to over 200 chimps who were rescued from biomedical research, the entertainment industry or the pet trade - and the sanctuary does everything it can to make the chillier months a holiday season the rescued animals love. 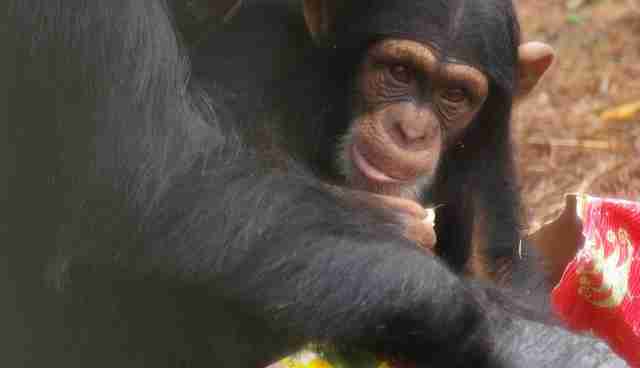 "Every day the chimpanzees at Chimp Haven receive enrichment designed to stimulate their bodies and minds and encourage species-typical behaviors," Ruth Frazier, chief development officer at Chimp Haven, told The Dodo. 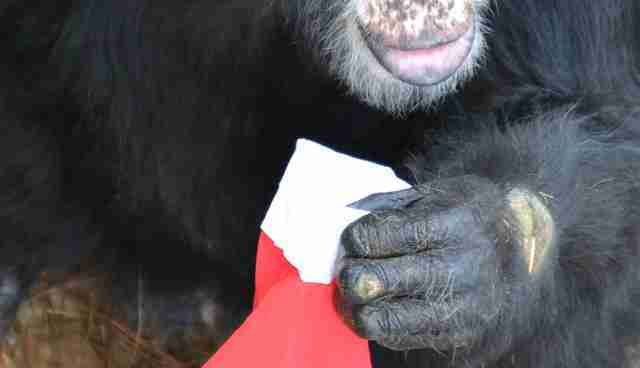 "But November and December bring a couple of extra-special days to the sanctuary's residents." 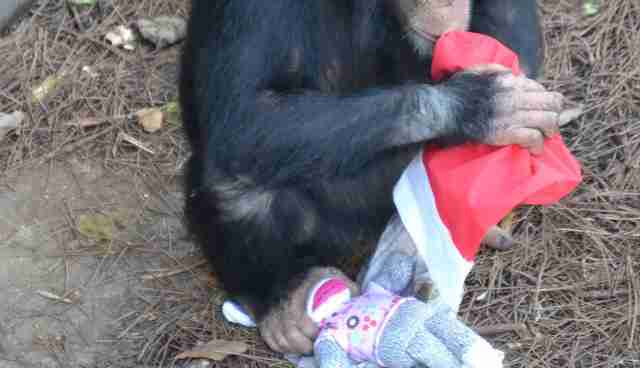 In November, the chimps get their first taste of holiday cheer when pumpkins and squash are given out. 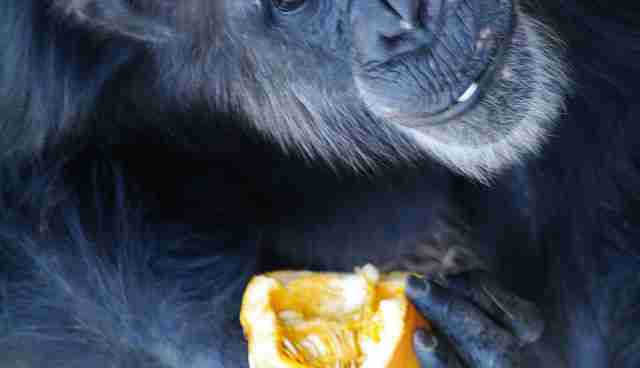 Pumpkins and squash "require some patience and skill on the chimpanzees' part in order to crack open their hard exteriors," Frazier said, and the chimps enjoy the challenge. 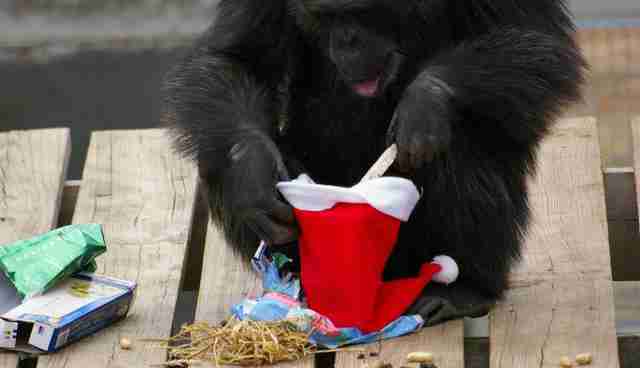 Then volunteers gather to fill boxes with treats for the chimps for "Chimpmas" in December - and of course wrapping up the boxes takes a lot of time and effort. "Treats for Christmas sometimes include nuts in their shell, pomegranates, trail mix, fruit leather and sugar-free items such as pudding and jello," Frazier said. 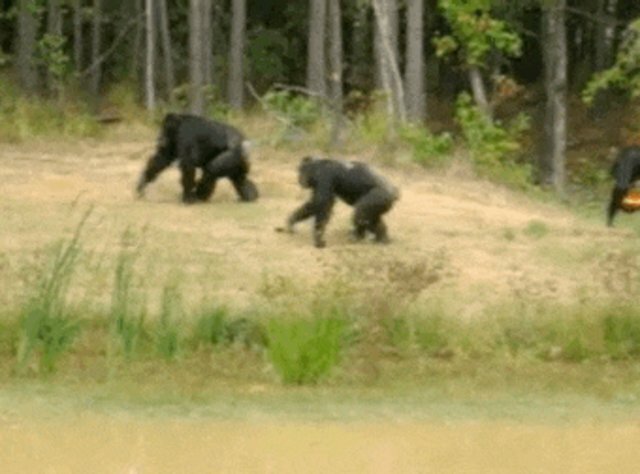 The reactions from the chimps make the toil more than worth it. 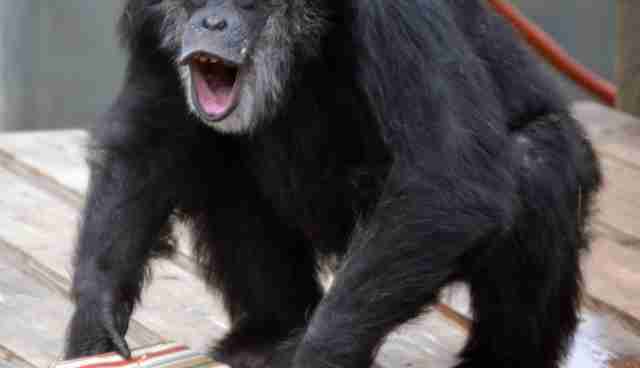 Even more chimps are expected to arrive at the sanctuary in 2017, since the National Institutes of Health announced that most of their research chimps would be retired. So next year's celebrations are going to be truly epic. 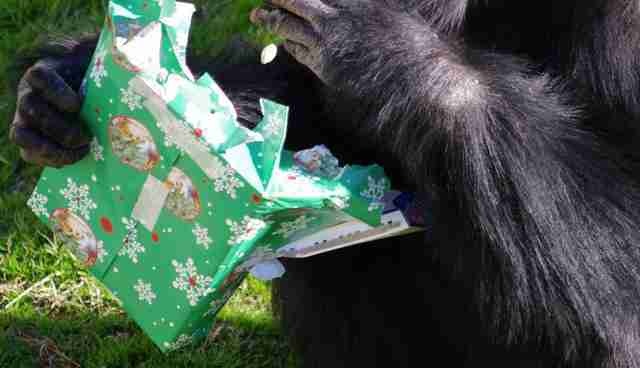 You can contribute to the festivities by sending the chimps a box of dry stuffing or wrapping paper for the treats at: 13600 Chimpanzee Pl, Keithville, LA 71047. 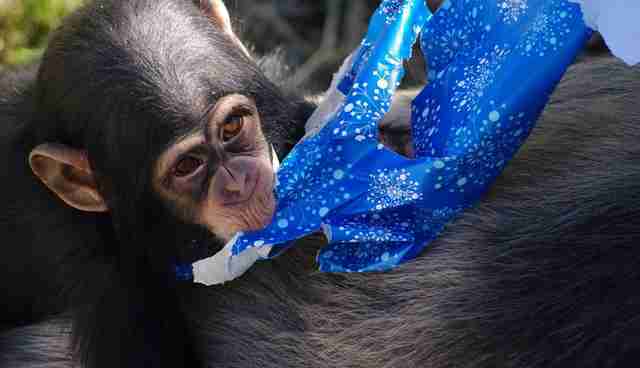 To see Chimp Haven's Amazon Wish List, click here.